Kingsley’s Chicken offers freshly cooked, grilled breast chicken fillets potato chips – all which are gluten free! 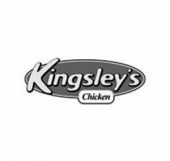 Kingsley’s Chicken offer a range of finger foods such as Chicken Chippies (NEW), Roast Chicken Torpedoes (sometimes called subs), Chicken Nuggets and Dutch Chicken Croquettes. Kingsley’s outlets sell freshly cooked Roast Chicken and Southern Fried chicken grilled chicken wings , Chicken Schnitzels and Schnitzel Parmigiana. The product range also includes delicious Chicken Gravy and, of course, Kingsley’s Awesome Chipswhich many customers claim are the best in Canberra, if not the world! Kingsley’s are specialists in Canberra Catering of chicken ( pick up only) for birthdays, office functions, and other large group get togethers and are proud to announce our new range of delicious Griled fillets, freshly made wraps and Torpedoes, which you can serve whole or sliced.